Wendy Dreary came for a fixup, originally uploaded by sylviecola(trying to catch up.). 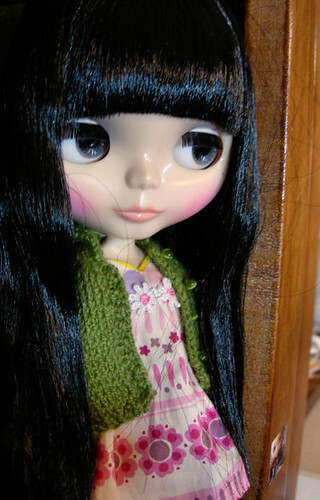 This lovely sad girl I customized a few years ago was showing some wear and tear in her photos. So, I asked her owner to send her back to me to fix up. She really loves her Wendy Dreary and was reluctant at first and said she couldn’t stand to be away from her. But she finally sent her over. 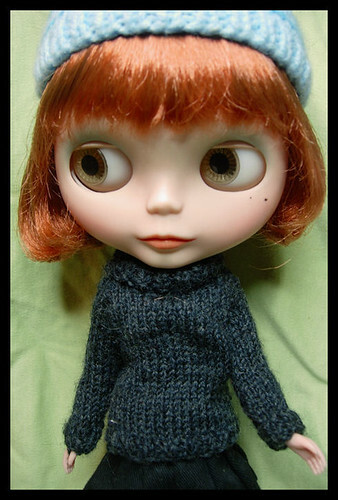 It’s kind of nice to reunite with what was one of my first Blythe dolls. 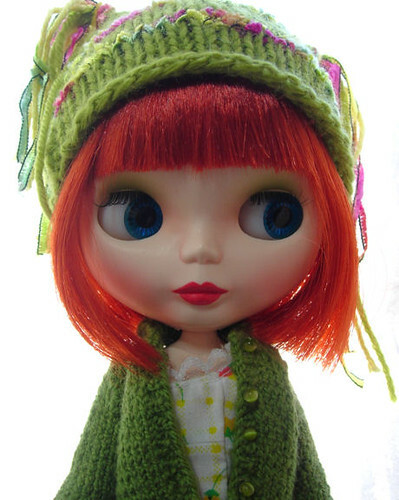 She was previously a Rainy Day Parade and was the one doll that perked my interest in Blythe. I think I wanted her most of all but went for some less expensive dolls. I gave in eventually. Now I know if there’s a doll I really want, I just need to plan on getting it instead of trying to satisfy my want with a cheaper doll. Eventually, she turned into Wendy Dreary for a collector friend who was wanting me to do a goth girl for her. And Wendy has been very dreary. She got stuck at the post office without a notice to her mom. We wondered where Wendy disappeared to but her mom persisted and she had been sitting at her local post the whole time. So from the start she’s had a rough life in this incarnation. Now she’s all freshened up and I will ship her back and hope there isn’t another strange ordeal of being lost in the wilderness. In a corner, originally uploaded by sylviecola(trying to catch up.). Meet Lucy Limeade. 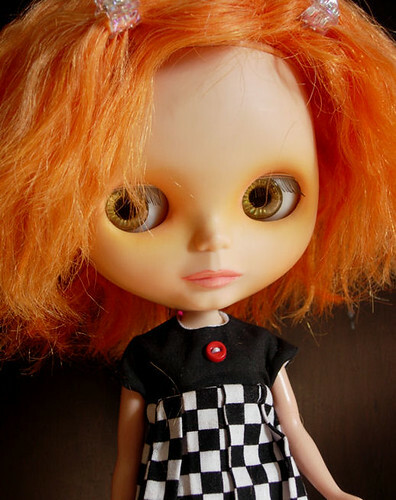 Remember a week or two ago I mentioned the factory or proto-type Blythes that I was expecting? Well here she is. Actually, it’s just her scalp put on a Simply Lilac bait Blythe I had lying around. I’m deciding what to do with the faceplate she came with. I believe it is Tarts and Tea’s. It looks to be natural and the only one that matched to the pictures. When my factory girls came they had some flaws with the eye-mech where they weren’t turning properly. I have since fixed the little problems. The other doll I got was a Ribbonetta Wish Scalp on Urban Cowgirl. The eye lids also are RW’s. I’m deciding what to do with her. I fixed her hair. She didn’t have the bangs cut and not much thatching was in place so I sorted that out. I had to give her bangs because her thatching stops midway because she was meant to have thick bangs. For now I plan to keep my Amaryllis girl. Normally, I find it difficult to bond with my customs unless their make-up is very light. But with this hair, I just have to enjoy it for a while. Agua get’s a makeover, originally uploaded by sylviecola(trying to catch up.). No, I’m not talking about money…well not directly. I’m talking green hair. 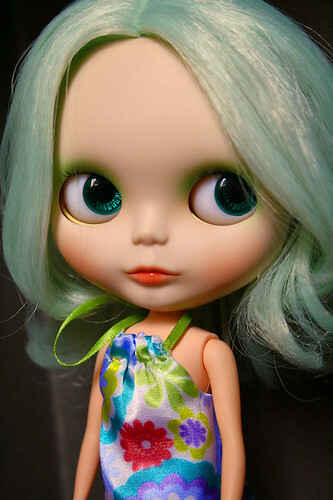 Anytime I’ve customized a doll with green hair and then offer her up for sale or even before she’s been offered up, the doll gets snatched up pretty fast. I wasn’t initially planning on selling her but the previous doll I finished up, Frankie Freckle Face, became too irresistible to sell so I decided to keep her for now. And after an impulse buy or two, I had to put another girl in her place. Agua volunteered. My house is too crazy for her I guess. I will miss her. However, I’m waiting for a factory doll,(impulse buy,) that has Amaryllis’ hair and I’ve been itching to add her to my collection. Plus since this doll is a factory/prototype doll, I don’t have to feel guilty about customizing her since Amaryllis is quite expensive. Back to green hair. I guess it’s no coincidence that of all the fantasy colors CWC uses, different shades of green seems to be one of the most frequently used. Pink is actually used the most for fantasy colors and then I think green is next. Hello all. I hope everyone is getting ready to have a festive Holiday. We’ve been busy with getting gifts off and kids being off school. 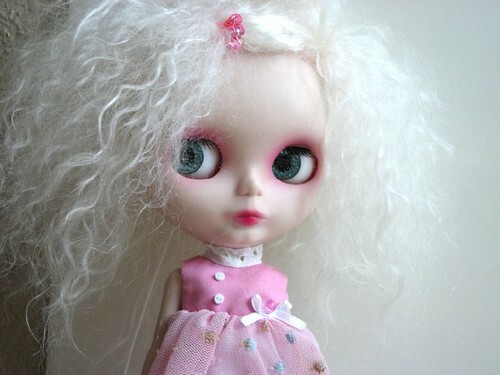 I’m still working on mostly Momoko commissions and sneaking in some Blythe customizing to keep things interesting. Above is a new girl that I tried to hold off getting. I originally just wanted her for her scalp so I could put it on Miss Sally Rice. 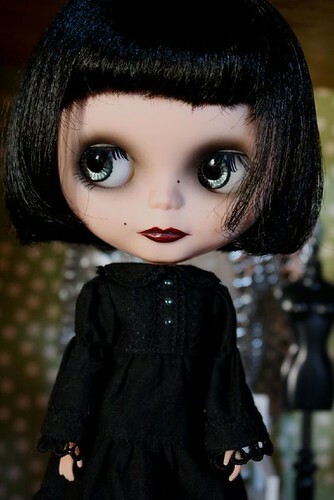 She looks really good with other hair and many Blythe collectors have been experimenting with different scalps. And for now, Miss Sally Rice is still reasonably priced. However, she will probably go the way of Ebony who was the cheapest and least popular of the Primadolly 2’s and became popular as a base doll for customizing. But then she became harder to come by just stock and now is hard to find and expensive. To think I had an Ebony. 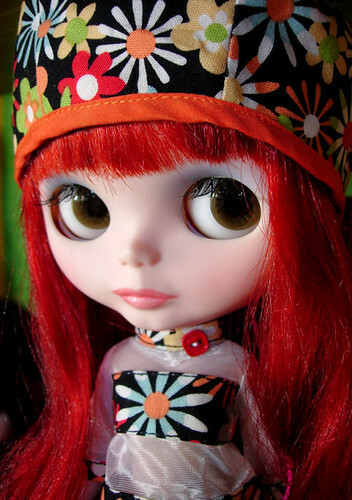 Sigh… She was one of my first customs. Ah well. Anyway, this girl above is Bow Wow Traditional and since she’s an SBL, I intended to break her down for her scalp and use her as a custom base. I’m not too fond of the SBL mold so I usually pass on these dolls. But I really like this girl and now my plans have been dashed for now. I’m just keeping her as is. I wish CWC would make more jet black haired girls. Especially an RBL girl. I would buy several. Have a wonderful Holiday Season and stay tuned for more episodes of The Chronicles of Judith.